So by now you think all I want to talk about is Beautycon 2017. It’s not that I’m obsessed, it’s that there was just so much to cover. So, if you haven’t read Part I or listened to the podcast, which was pretty incredible, definitely check out those links. Without any further adieu, here are some more of my favorite products, brands and discoveries from the event. Did you know you could use La Roche-Posay micellar water to clean your makeup brushes? Now you do! Omg! Just pour some in a cup with your brushes and leave it overnight (that’s what I do, but a few hours is probably fine), rinse with tap water and let air dry. No soap necessary. I’m the worst because I feel like I never use these things the right way. Holly, who is a rep for Beauty Blender explained to me that you put the blender in a bowl of clean water, squeeze out the excess and then use it to dab on your makeup. Listen to the podcast to hear every little detail so you can overthink over using your Blender the right way. Holly also stressed the importance of washing your Blender. They come with a little bar of special soap or you can buy a liquid cleaner. After washing your sponge, don’t throw it back in your makeup case until you let it air dry fully. If not, you end up with a moldy mess. Tammy Taylor herself gave me the best nail tip ever! I don’t know about you, but my gel polish sometimes chips. It’s not the polish’s fault, but I’m clumsy. For example, a ladder fell on my hand last week. How does that even happen, right? So annoying! Anyway, Tammy revealed it is totally possible to touch up gel chips at home without a UV box. Just carefully paint on the gel polish and keep your hand in direct sunlight until it dries. Don’t try this for a whole manicure, but it totally works for a minor fix in a pinch, especially if a trip to the salon just isn’t going to happen. 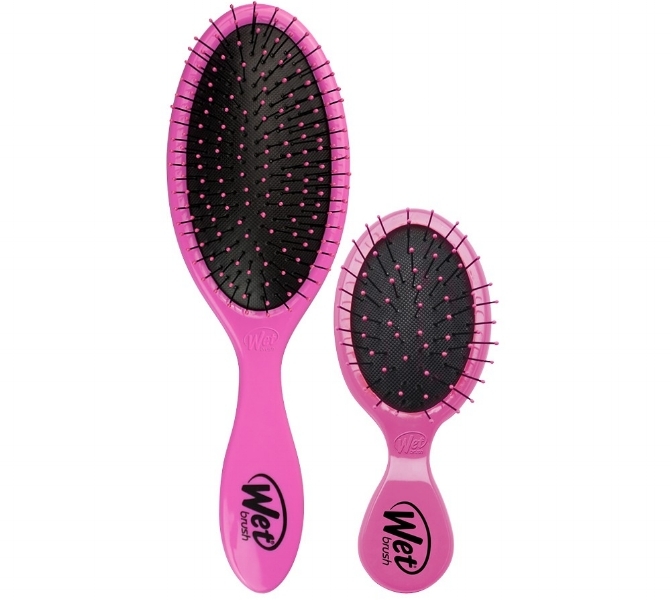 If you are as concerned about hair breakage as much as I am (I’m down to thinking about it fifteen times a day now), you need a Wet Brush in your life. This brush is designed to detangle your hair when it’s wet without pulling it out like a comb alone can do. Depending on your hair, you can use it by itself or before combing. Total game changer. I didn’t realize I needed Rimmel London’s Insta Conceal and Correct Palette until I tried it. It has three different types of concealer— a skin toned one for under the eyes, a green color to counter redness and a purple shade for dullness. The amount of product is generous, but the packaging is the perfect size and even has a mirror, so it’s easy to travel with. Don’t we all need extra concealer when we travel? I really like the idea of this brand because they combine natural ingredients and science. To me, this means less chemicals, but more thought into what really works. 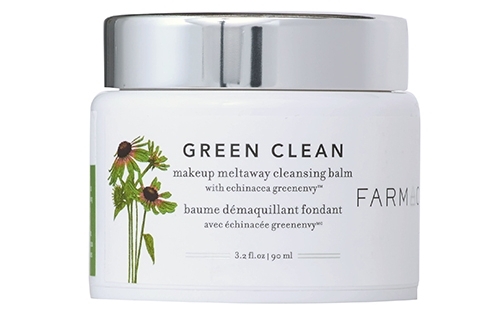 They gave me a sample of their Green Clean Makeup Meltaway Cleansing Balm and I took it to New York. I was skeptical at first, but it's been a dream for traveling because I don't have to worry that it will leak or be confiscated by the TSA. Nightmare averted. 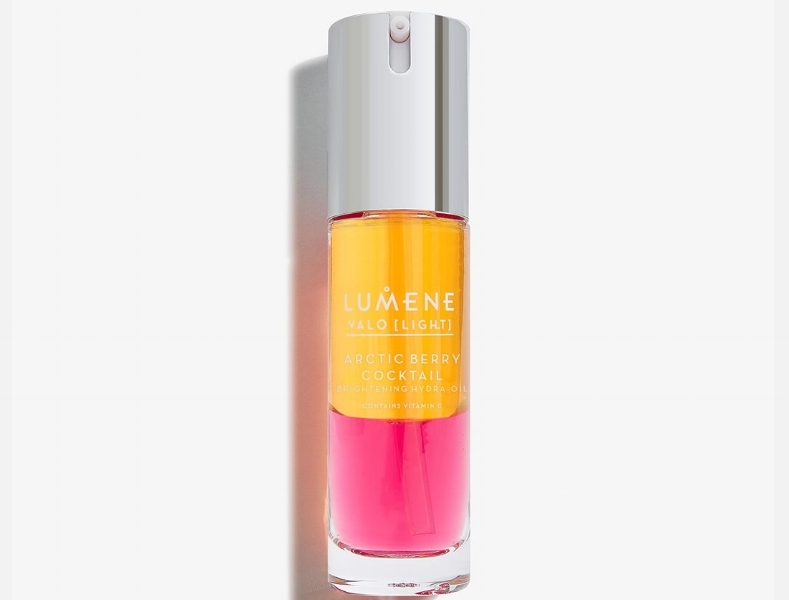 Lumene is a really affordable, but quality skincare line from Finland. Their Arctic Berry Cocktail sounds like something you want to drink, but actually, it’s for your face. An oil and primer in one, this is a dream multi-tasker for the AM, so you can keep your face hydrated and set your makeup for the day. If you like the idea of microblading but not the permanency, pain or cost, Wunderbrow is probably for you. It’s a semi-permanent brow gel that lasts for up to three days. Because it has a fibrous texture your brows appear real. Very easy to apply and natural looking—Wunderbrow is going into regular rotation for me.